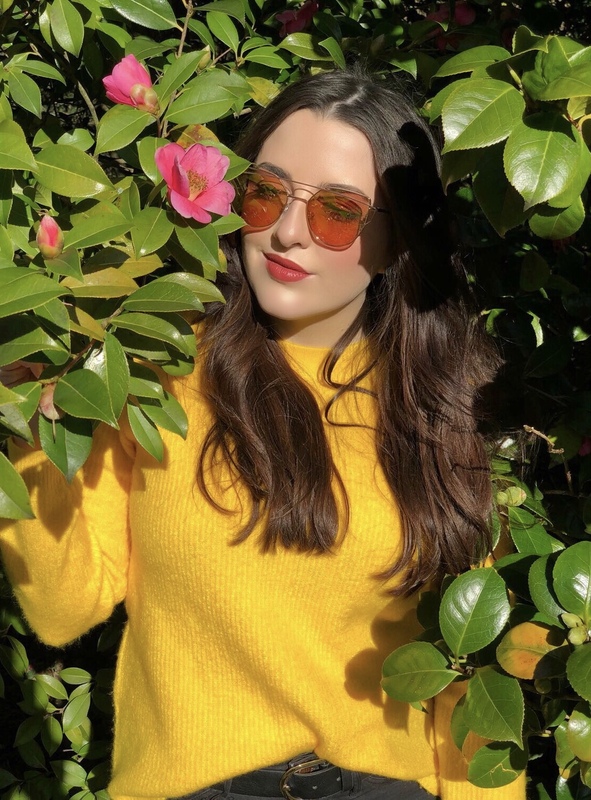 As the cold nights draw in quicker, and we countdown to October's definitive crisp, chilly mornings, it's safe to say that my summer beauty regime needs to be replaced in favour of products that will both battle, and defend against Autumn's harsher elements. Now I don't know about you guys, but one of my absolute pet hates is chapped lips. Lip care is truly the first thing on my mind when I wake up, and the last thing I apply before I go to sleep - I honestly can't stand the feel of the dry, chapped lips that seem to go hand in hand with the latter months of the year. So you can imagine my overwhelming excitement when I was contacted by Vaseline, one of my all-time favourite, beauty essential brands, asking whether I'd be interested in trying out the newest limited edition lip tin before it hit the shelves. And of course, as a lover of Vaseline's lip products, I jumped at the chance! Most of you will already be familiar with my obsession with their products, and the satisfaction I find in collecting each and every one of their limited edition tins - it's an addiction I know! Not knowing what to expect from the latest tin, I tore into the packet that fell through my door with eager hands. 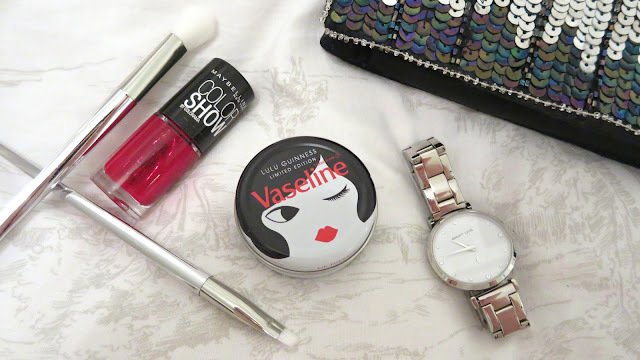 Only to find (in my personal opinion) Vaseline's most stunning lip therapy tin yet. 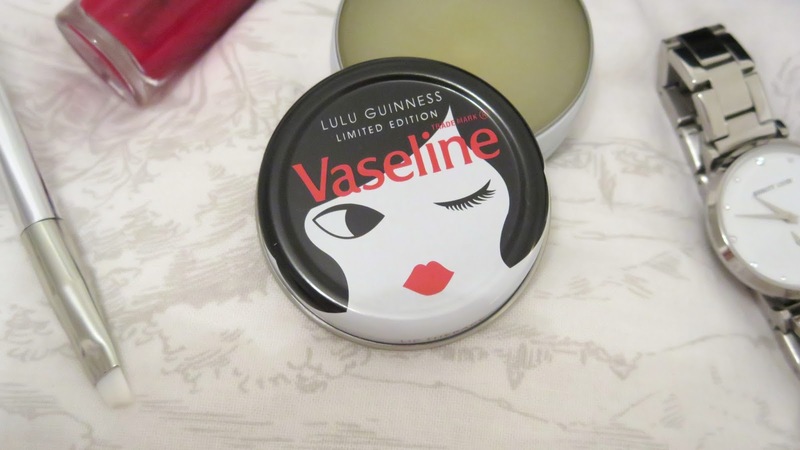 Vaseline have teamed up with British designer, Lulu Guinness, to create a Limited Edition Lip Therapy Tin. For me, Lulu Guinness' creations are easily distinguishable by her iconic, full-lipped designs - I mean who hasn't lusted after her quirky, yet cool clutch bags! And this tin certainly isn't any different. Teaming her sultry red pout with a coiffed black bob, and flirtatious wink, the lid alone will win the hearts of any lady who finds an affinity with a daring and sassy attitude. Apparently the 'Lulu Doll Face' is set to become the next big thing we can expect from the designer, with this tin being a little taste of what's yet to come from her innovative, new Pre-Spring collection. Though fashion aficionados won't have to wait too long to cast their eyes over Lulu Guinness' new delights, with the brand being set to unveil the mystery behind their new designs in November. 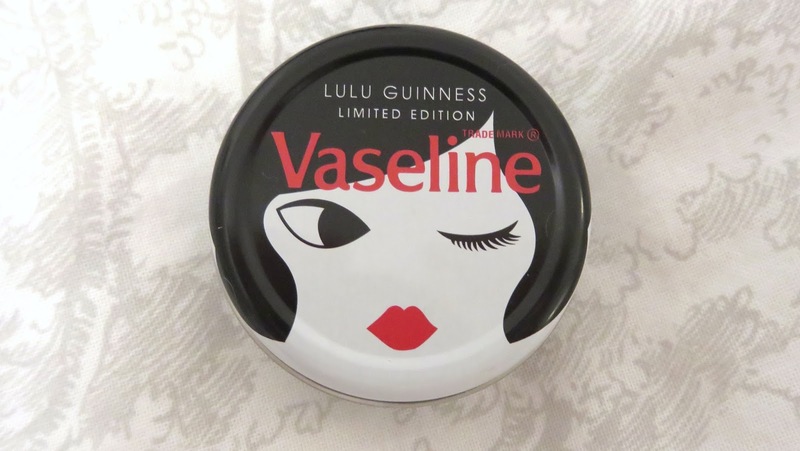 Unlike previous limited edition lip therapy tins, Lulu Guinness' design houses Vaseline's Original Petroleum Jelly. A product that simultaneously works to soften the lips and repair any damage caused by environmental factors, the main reason why time and time again I return to the original - well that and the product's amazing versatility. Chapped lips? Vaseline. Unruly brows? Vaseline. Sore skin? Vaseline. But it's not just me, even Lulu herself is said to be a huge fan of the brand's lip care range - "I have used it since I was a baby, and always have around 10 dotted around the house, so I am very proud to have put my stamp on such an iconic household brand." Though my beside table is usually home to my Vaseline lip therapy products, this particular limited edition design demands to be shown off in my handbag instead - it's literally too beautiful not to be seen! I may have only just received the product, but I already know it'll be an essential when I'm out & about during the up-coming party season! If you're just as excited as I am about the release of Vaseline's latest limited edition lip therapy tin, you won't have to have too many sleepless nights dreaming of this product. The tin will be available to purchase (RRP £2.99) in Boots, Superdrug and Tesco stores nationwide from October 2016 - keep your eyes peeled for Lulu's iconic red pout! 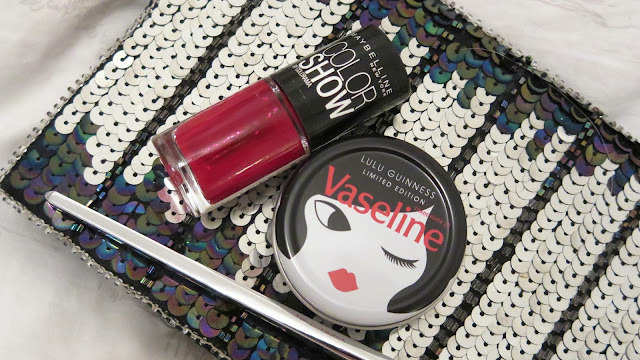 So tell me, what are your thoughts on the Limited Edition Vaseline X Lulu Guinness Lip Therapy Tin? Will you be making this one of your handbag essentials as soon as you find it in store? Let me know below! Whilst back to school week marks the end of summer for most, the sudden emptiness of the shops has allowed me to venture out for some leisurely browsing on my lunch breaks. And this week I found my feet leading me towards Boots' open doors. Though I wasn't looking for anything in particular, as usual, I didn't leave empty handed, instead I added two new nail polishes from Barry M to my shopping basket along with an exciting new Lee Stafford hairspray. 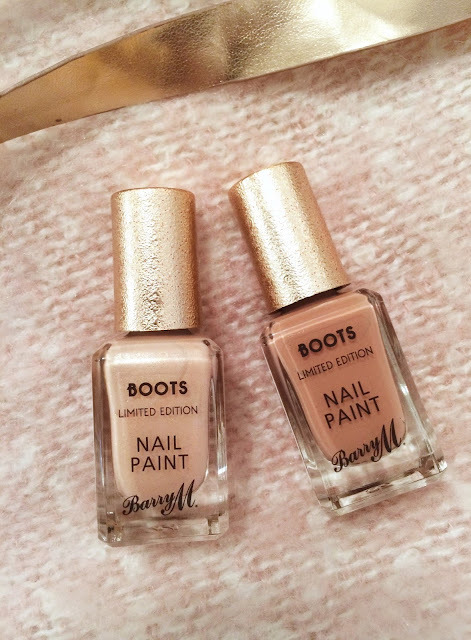 As with all of Barry M's nail polishes, I never really find the consistency changes - the polishes always apply beautifully and one coat gives a solid translucent, buildable finish. I'm currently wearing 'Beachy Keen' which is probably my favourite of the two shades, and after a days' wear I've seen no visible chipping to the polish, which is amazing for me! Though these shades were designed to be for the summer months, I definitely feel like 'Beachy Keen' is a lovely transitional hue to wear into Autumn - it's not too pastel or too harsh, with a gorgeous glow to it. My other purchase was something I actually picked up spontaneously at the till point, knowing I'd run out of hairspray at home. Lee Stafford's pastel pink packaging jumped out at me and it wasn't until later that I actually realised that the product was coconut scented! Long time followers of my blog will know that I have a serious coconut addiction, so I almost feel like this was the fate of the Beauty Gods that I would pick this up. Okay bit OTT, but seriously I've never loved a hairspray so much in my life! Lee Stafford's Coco Loco Coconut Hairspray still has that bitter scent (and taste if you're unlucky enough to breath a little too much of this in) to it that's typical of hairsprays. But initially your senses are flooded with a rich coconut aroma. The product itself isn't sticky and doesn't leave your hair feeling hard, but it does have fantastic hold and can be brushed out with ease - perfect for styling, and in my case taming unruly bangs! I'd reccommend this to anyone who's open to trying a new hairspray or is obsessed with coconut as much as I am! What beauty products have you purchased recently that have impressed you? Leave a comment below to let me know!